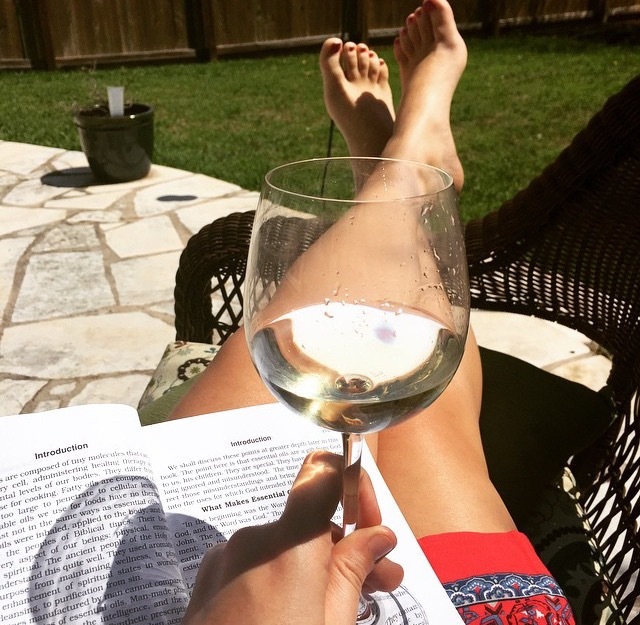 With summer just around the corner, I’m dreaming of days by the pool reading and soaking up the vitamin D. While I typically opt for the easy-to-read young adult dystopian novels (yes, I am a teenage girl, apparently), I’m also excited about the health books I have on my reading list. For those of you looking for some non-fiction book ideas, here are a few old favorites on my bookshelf or ones that I am currently reading (and will be writing about very soon)! Deep Nutrition: Why Your Genes Need Traditional Food – This book changed the way I think about food and my health and was the ultimate inspiration for this blog. The Coconut Oil Miracle – This was a fascinating read since I had absolutely no clue of all the health benefits that coconut oil could provide. Read my summary here. Your Body’s Many Cries for Water – Wow… if anything will convince you how important it is to drink water, it’s this book. You’ll be surprised how many health problems are a simple result of chronic dehydration – read more in this blog post. Why We Get Fat: And What to Do About It – A controversial read that attempts to debunk the calories-in, calories-out theory. Read my review here. RX: Charcoal – Would you ever eat charcoal? Read about why charcoal is now a staple in my medicine cabinet here. It Starts With Food: Discover the Whole30 and Change Your Life in Unexpected Ways – I’m halfway through this book and planning to do the Whole30 “diet” this summer… I’ll let you know how it goes! Healing Oils of the Bible – Just started this book and I am already so inspired. If you are theologically-minded and want to learn more about scriptural healing, this is a must-read. Nourishing Wisdom: A Mind-Body Approach to Nutrition and Well-Being – One of the hardest things about the transition to a healthy diet has been self-control and our relationship with “good” and “bad” food. I’m interested to read the author’s take on how we eat being just as important as what we eat. Essential Oils Pocket Reference – Not really a sit-down and read kind of book, but if you have essential oils, I promise you can’t live without it. Organized by symptom, you can figure out how to use oils to promote healing. The Holistic Dog Book: Canine Care for the 21st Century – I’ve always been intentional about feeding my dog the best food and making holistic medical choices for her, but after she got really sick a few weeks ago, I’m more motivated than ever to make sure she has the chance for optimal health. This book is going to help me make the transition to a raw food diet. I will certainly share what I learn soon for all you dog-lovers out there. Which one of the these books interests you the most? What are your favorite health & wellness must-reads that I missed? *The book links above are affiliate links, which means I make a very small commission if you purchase that product. I sincerely appreciate your support to keep this blog going!